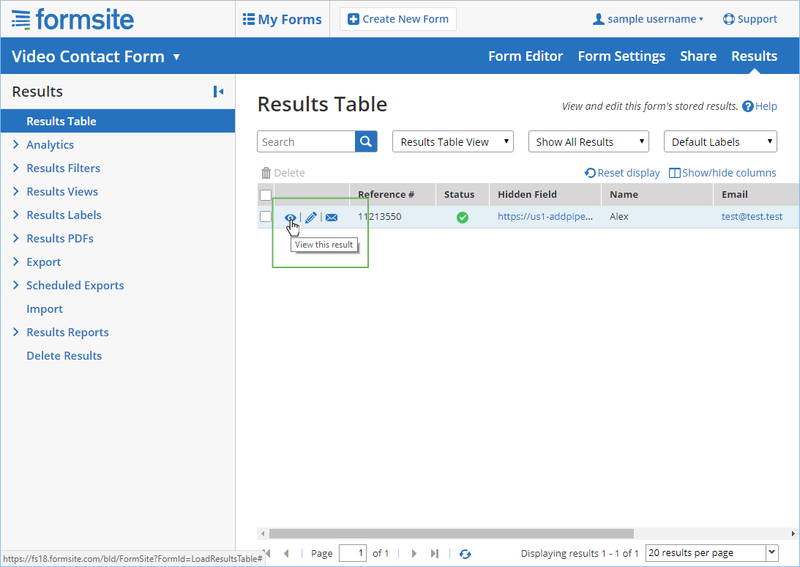 Posted on June 4, 2018 by Billy S.
Whether you want to add video responses to a simple questionnaire or collect open-ended qualitative video data, this tutorial will show you how to record video with your Formsite forms. 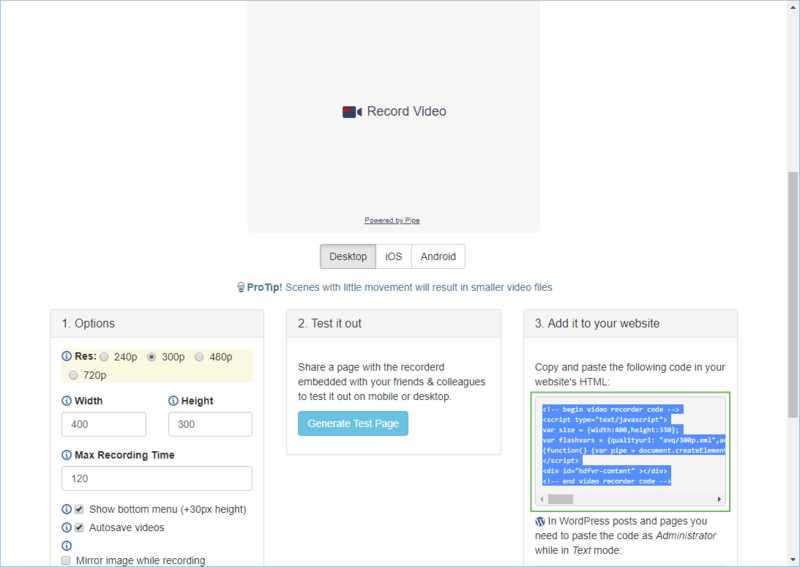 Pipe Video Recorder is a simple to use video recording platform with support for mobile and desktop browsers. 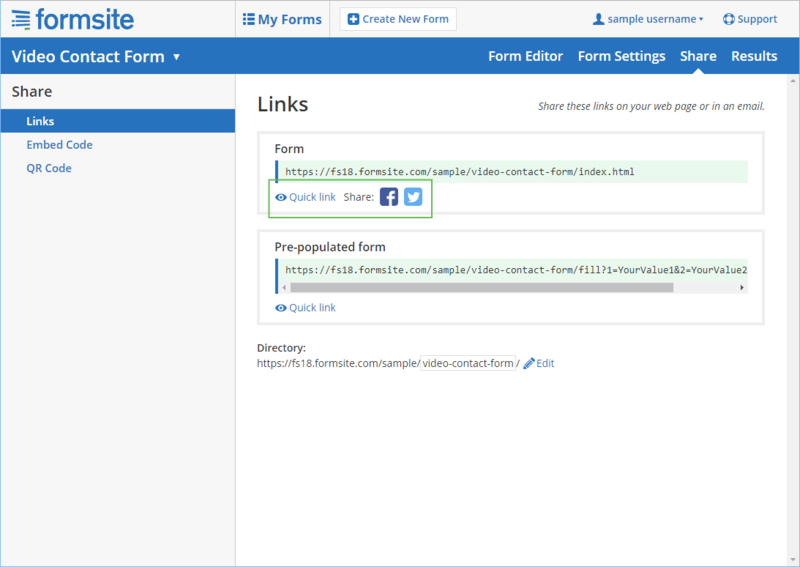 By integrating Pipe and Formsite, you’ll be able to collect rich compelling video content with your forms. 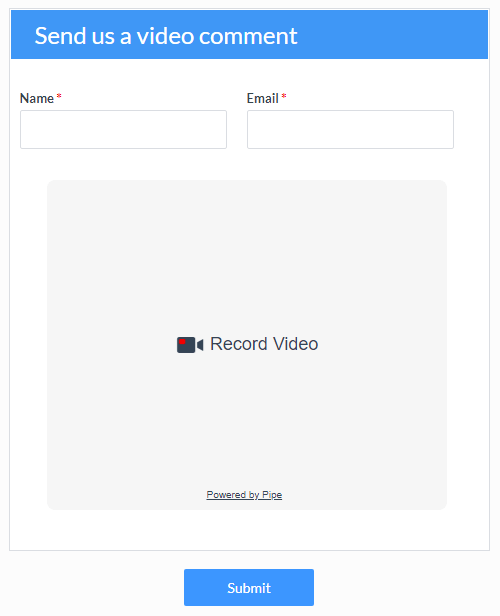 In this tutorial, we’ll cover creating a simple Formsite contact form with video recording powered by Pipe. Start by adding the form items. For this example, I’m adding 2 items from the Common Items group for collecting the name and email, but your form can contain any items needed. 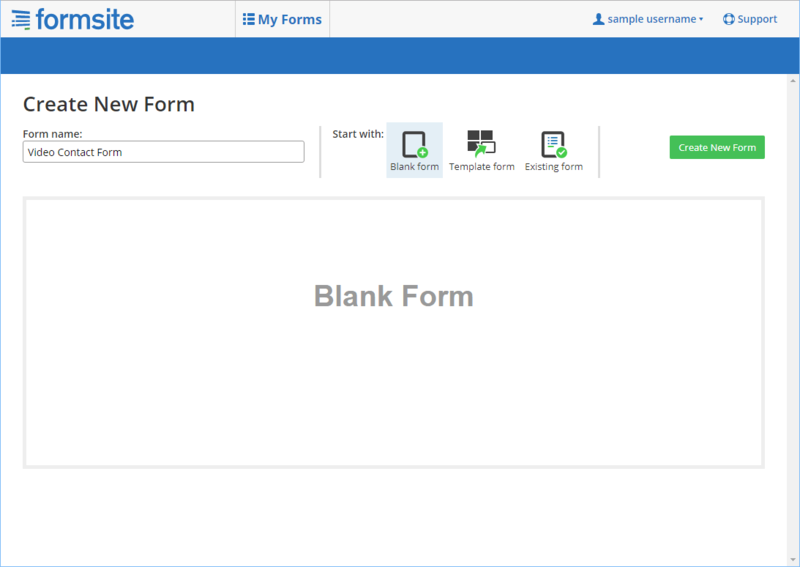 Next add the video recorder to the form using a Custom Code item from the Formatting Items group of the form editor. 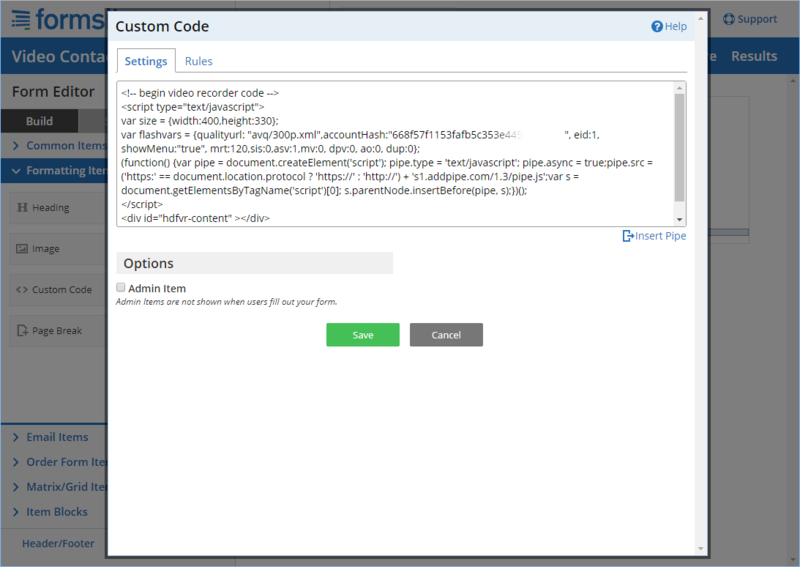 Using this item we are going add the Pipe embed code to the form. The form now contains an item to record video. 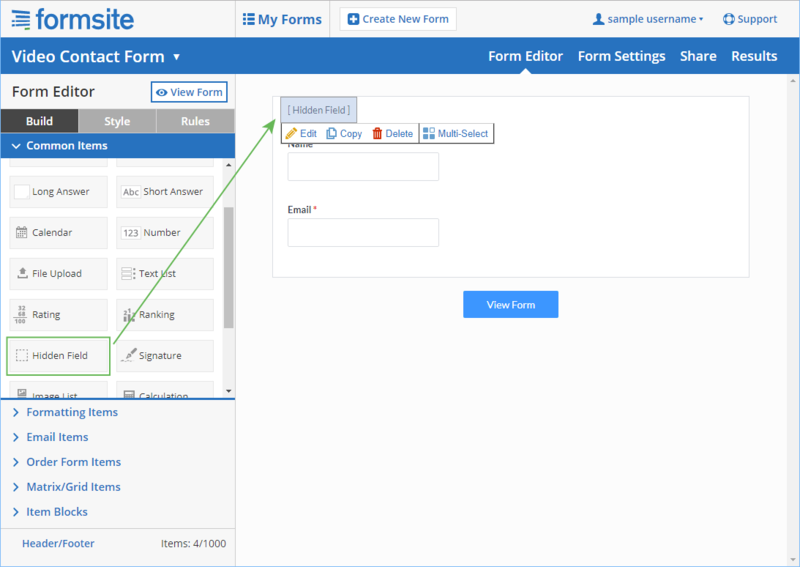 Click the [View Form] button at the bottom of the form editor page to preview the form. 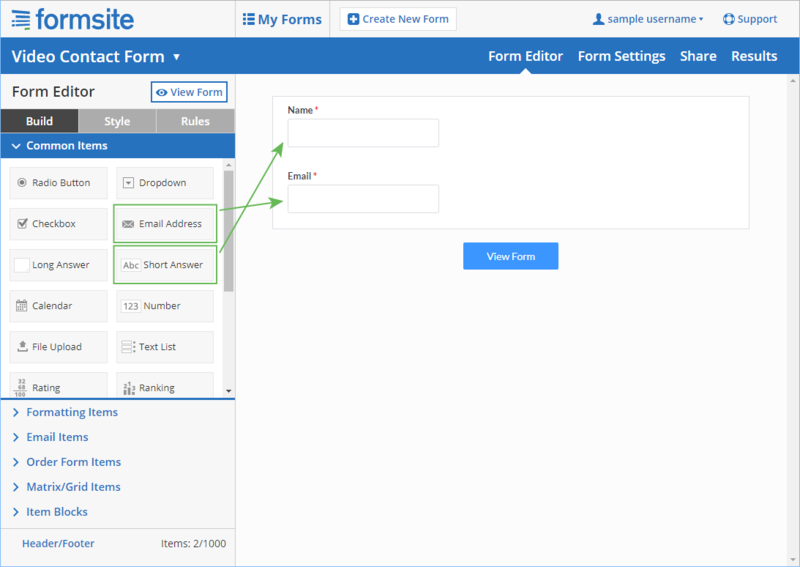 Anyone who uses this form is able to type in their name and email address, and record video that you can access in your Pipe account. This field will store the URL of the recorded video after it is processed by Pipe. The link to the video will be recorded with the result in the form’s Results Table. We will just be using the video name and location in our tutorial, but you can use any other information available in the function for your form submission. 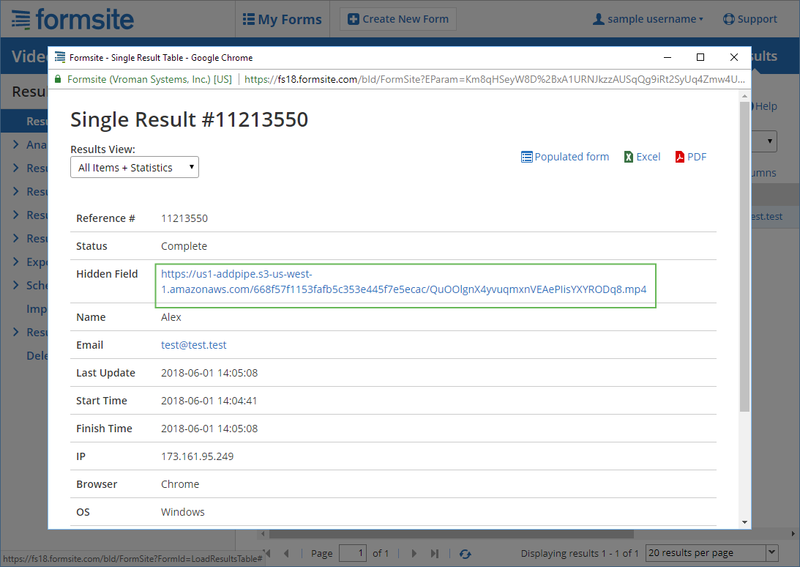 Replace formsite_field_ID with the id of your Hidden Field item. If the Hidden Field item is the first item in the form, the ID will be RESULT_TextField-0. 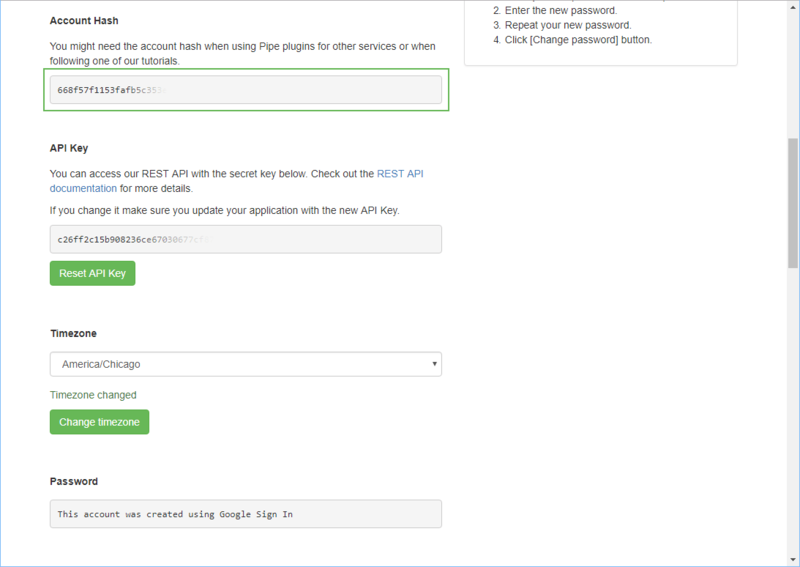 You can view the form and either view the page source or use the browser’s developer tools to find the item’s ID value. After recording a video in the form the Hidden Field item will now be filled with the final video storage URL. 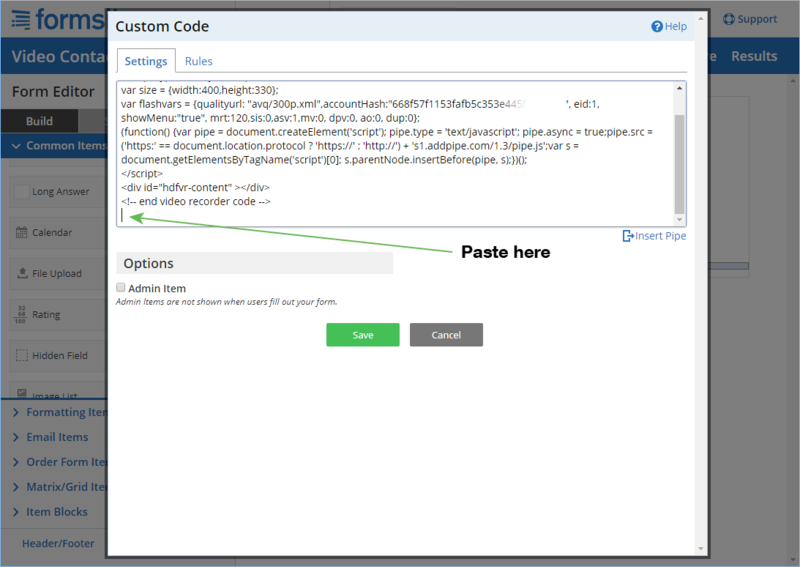 Click the Share tab to see the form’s link or its Embed Code to embed into your site. That’s it! 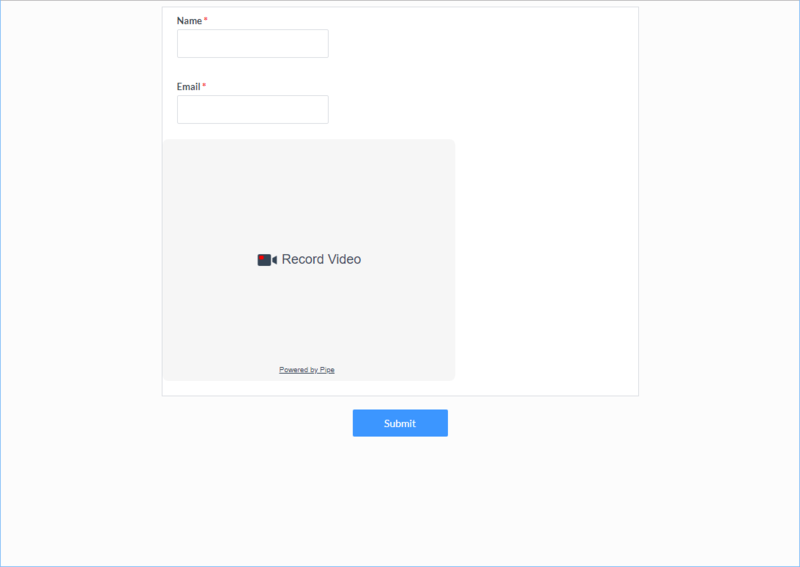 You’re now able to record high-quality video from your users through a simple form created with Formsite and Pipe Video Recorder. This week’s post has been contributed by Pipe Video Recorder.